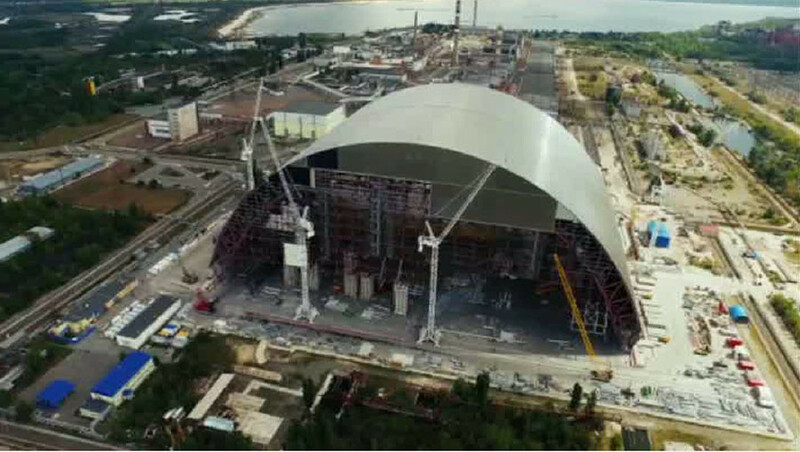 Rare footage from a drone flying over the site of the decommissioned Chernobyl nuclear power plant has been released. It offers a sneak peek at the construction of a huge sarcophagus designed to shelter the core of the damaged reactor and prevent further leakage. Footage captured from a bird’s-eye view of the Chernobyl nuclear power plant shows the large-scale efforts to secure and de-contaminate the site of the 1986 disaster. The Chernobyl nuclear power plant officially launched the decommissioning and dismantling of its first three units in April. The move to fully shutdown the plant came nearly three decades after it became the site of the world’s worst nuclear disaster. The three units are expected to be taken to a "conserved" state in several stages, the first of which will take at least 10 years. Chernobyl was the first nuclear power plant in Soviet Ukraine, a flagship of the peaceful atomic energy program of the USSR. In April 1986, as a result of an explosion and fire at the plant's Unit 4, large quantities of radioactive material leaked and spread into the atmosphere. The disaster was due to human error: a technical experiment went awry, sending the doomed reactor into meltdown. 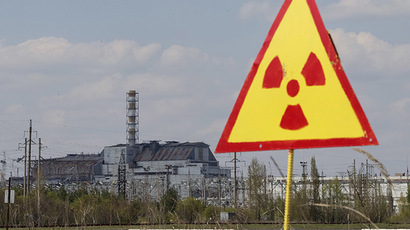 Ukraine, Russia and Belarus took the brunt of the deadly radiation spreading from the meltdown. Increased radiation levels were detected throughout Europe. Though the Unit 4 reactor was rendered inoperative in the 1986 meltdown, the first three units continued to work for years after the accident. Units 2, 1 and 3 were put off the line in 1991, 1996 and 2000, respectively. Chernobyl and the surrounding area have been abandoned since the nuclear disaster. Many people died in the immediate aftermath of the incident. The long-term effects of radioactive contamination have caused severe health problems for populations in the affected regions.